Autograph Letter Signed ('A. C. Benson') to 'Mr <Fletcher?>. 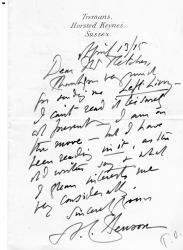 13 April 1915; on letterhead of Tremans, Horsted Keynes, Sussex. 12mo: 2 pp. Very good. 15 lines of text. He thanks him for his book . I can't read it leisurely at present - I am on the move - but I have been reading in it, as the old writers say'. He is very interested in the things he is gleaning from it. 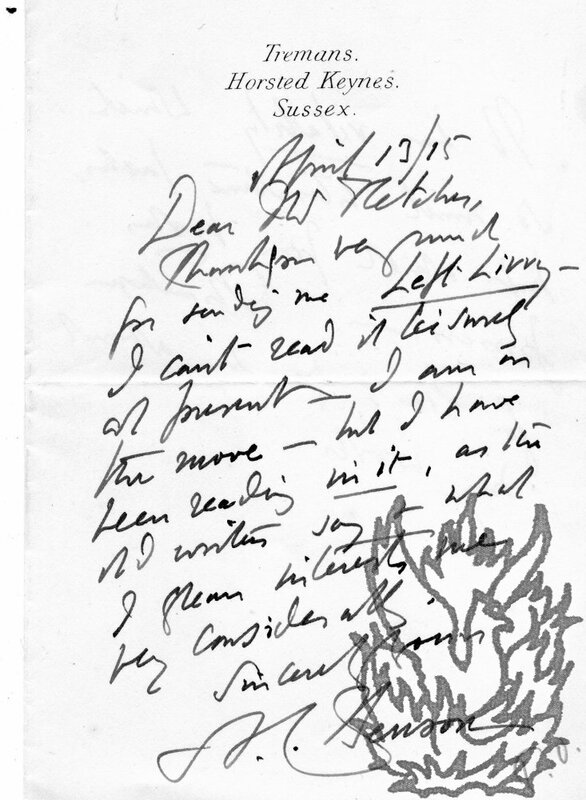 In a postscript he thanks the author for 'what you say about my work' and praises the book for its 'vitality which so much literature lacks, but which some books possess'.